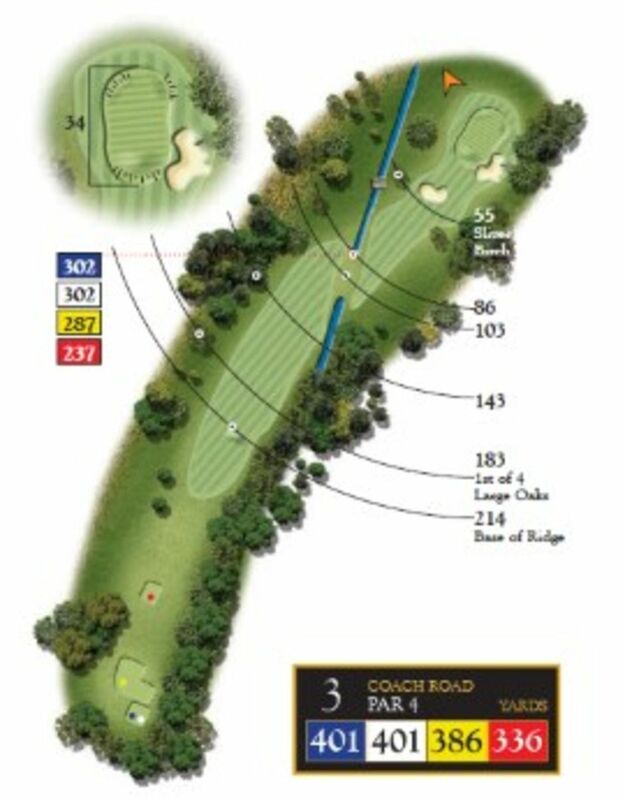 Hole 3 is a 401-yard Par 4 from the white tees which doglegs right and crosses a well positioned ditch for the approach shot. 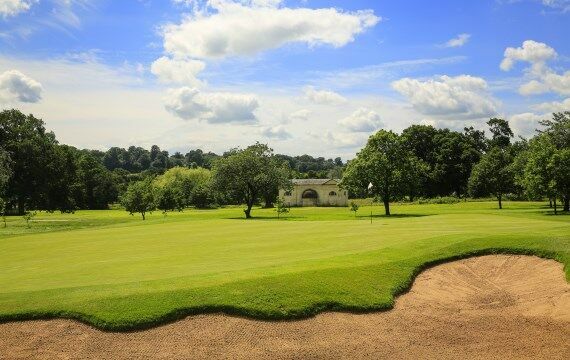 A bunker can be seen on the left hand side whilst approaching the green, which looks closer to the green than its actual location. Pro Tip – The left hand side of the fairway is the perfect spot to open up the approach shot. The centre of the green is always a good target as the edges have some well-placed run off areas.